so my heart’s howls would all allay. that this and all was not in vain. the fear of that futility’s breeze. A rainbow touchdown in my yard. Dear Robin, thank you for your careful reading. I am glad the poem provoked this feelings in you. 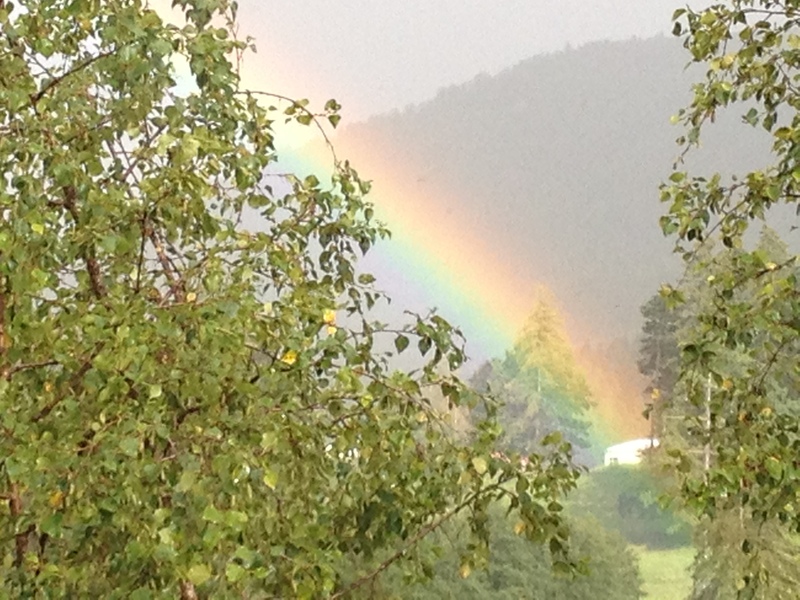 Because this is linked to the recent death of my mother…although I am not religious, I am always waiting for a sign to know that she is ok now…and the rainbow appearing in my garden was one of them. I prefer to think she sent it, to let me know she is fine. IT’S TOUCHDOWN IS IN HER YARD! Cheers Jonathan, and glad they visit your blog too! Your poetry is both eloquent and elegant, Eva. Wonderful verse. Oh dear, that is some compliment, thank you so much! Such a beautiful last line! Thank you Eva. Beautiful and hopeful. Thank you for your comment Jim!